Tutor Talk: Episode #2 - Common Misconceptions is now available for download on the iTunes Store. 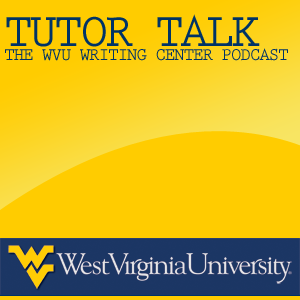 In this episode John and Emma discuss 5 common misconceptions of the WVU Writing Center. They also talk about the differences in the Writing Center compared to the term paper clinic, as well as what tutors may or may not expect from a session if they've never been. Also, John talks about a nightmare he had involving tweed jackets and MLA formatting. All of this...and more, on this week's episode of Tutor Talk! We recommend downloading Tutor Talk through iTunes via this link. iTunes is a free download to all users both Mac and PC. We will soon have a direct download link for all episodes for those of you who do not have access to iTunes.